It’s something no one wants to think about when they are just starting out on fertility tests and treatment, but we know that IVF doesn’t always work. Even in the best case scenario, an individual treatment cycle is more likely to end with a negative pregnancy test than a positive one, although cumulative success rates are much more heartening. Perhaps if we didn’t shy away from the statistics, it would make unsuccessful IVF easier to cope with. At fertility information events, there is often a reluctance to include any mention of IVF not working, and that doesn’t help fertility patients. We wanted to include a session on this, and on living without children at the Fertility Forum in London on March 30. We wanted to give an opportunity to hear some of the strong and powerful voices of women who are living without children, and how they have found peace and happiness. This session isn’t exclusively for people who are approaching the end of their treatment – it’s just as important for those who are still going through tests and fertility treatments to allow them to see that treatment not working doesn’t have to be the end of happiness. In a session chaired by Fertility Fest founder Jessica Hepburn, we have four inspiring women who are helping others change the way we think about living without children. There’s Jody Day, founder of Gateway Women, Yvonne John, author of Dreaming of a life unlived, Kelly Da Silva of the Dovecote and Lesley Pyne, author of Finding Joy Beyond Childlessness. I’ve met all of them and they are a pretty fabulous bunch – don’t be afraid to come and hear what they have to say, no matter where you are on your fertility journey. 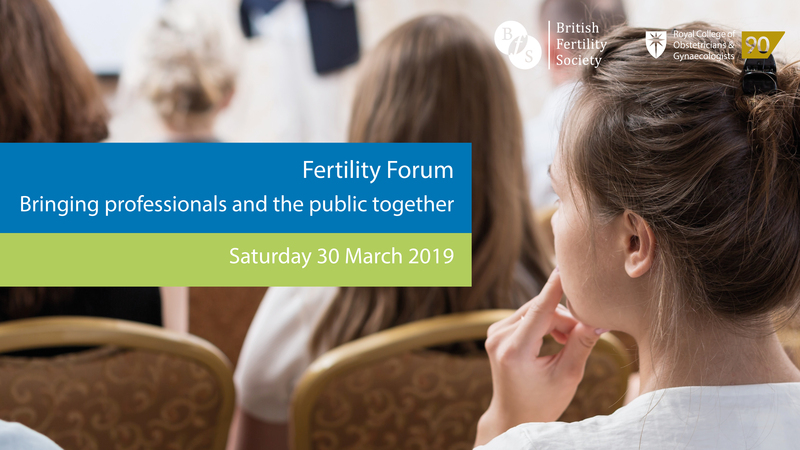 Organised by patients and bodies representing all the professionals in the field, the Fertility Forum also includes talks on a huge range of other fertility-related topics with many of the UK’s leading experts. Come and join us in London on March 30 for a day of accurate, unbiased information in a non-commercial setting with no promotions or sales pitches. The Fertility Forum is all about evidence – and you can get tickets here. If you have had unsuccessful fertility treatment and are in the process of moving on after this, you might be interested in a discussion group being organised by Louise Hesselvik who is training to be a Clinical Psychologist at the University of Hertfordshire. Louise is researching how women who have had fertility treatment are able to move on when treatment has not been successful. If you have tried fertility treatment in the past but have decided to stop treatment, and if you do not have any biological children, Louise would be very interested to speak with about participating in this group. She will be holding a small focus group to present my research so far, and to get your thoughts and perspective on this at Conway Hall, London on February 2nd at 6:45pm- 8:15pm. By participating in this study you will contribute to a better understanding of the factors which help women coping with unsuccessful fertility treatments and those who are involuntarily childless. Her aim is to use this research to help to guide health professional in how best to support women in this situation. If you might be interested in participating, you can email Louise at l.hesselvik@herts.ac.uk and she can give you more details and answer any questions. It’s something no one wants to think about when they are starting out on a fertility journey, but the truth is that IVF doesn’t always work. We know that average success rates in the UK for an individual cycle are around 26%, which means a 74% chance of it not working. In reality, as recent research has shown, cumulative success rates are far better and over a course of treatment, the majority are likely to have a child – but even so, IVF is not going to work for everyone, something this article from Australia illustrates. It may seem as if treatment not working would be the most unbearable outcome possible, but I have been really struck by pioneering childless women like Jody Day of Gateway Women and Lesley Pyne who show that this doesn’t have to mean the end of your hope for a happy future. Jody’s Gateway Women offers a chance to get together with other women in similar situations and she runs workshops and events, Lesley offers support through her blog, newsletter and one-to-one sessions, and there’s also help to be found from More to Life which offers support and regional contacts for anyone who is involuntarily childless. It may be useful to see a counsellor, and BICA – the British Infertility Counselling Association – can provide a list of specialist qualified counsellors across the UK, some of whom offer Skype or telephone counselling too. When a treatment cycle doesn’t work, there’s often a temptation to wonder whether it could be something to do with the clinic. People sometimes ask if they ought to consider a different clinic with a higher success rate or one which offers a wider range of additional (often scientifically-unproven) treatments if an IVF/ICSI cycle has been unsuccessful. 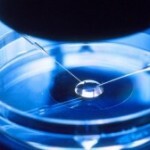 Why hasn’t my IVF worked? One question that people always want answered after an unsuccessful cycle is why it hasn’t worked. The reality is that IVF doesn’t always work – we know that around 75% of cycles are unsuccessful. That may sound a rather poor rate of success but we also know that when people try to get pregnant naturally only around 20% will be successful in the first month of trying. No one really knows why some embryos implant and others don’t, and it’s not all down to clinics but also to nature. The other key issue which often gets overlooked is age – the older you are, the less likely it is that an IVF cycle is going to work. Once you reach your forties, the success rates really plummet and the vast majority of cycles will be unsuccessful. The reason treatment hasn’t worked can often be age-related, but clinicians don’t always spell this out to patients. Moving to a different clinic may feel like a fresh start, and if you haven’t been happy with your treatment in some way it will certainly be a very sensible thing to do. However, if you’ve liked the clinic and you are only thinking of moving because your cycle hasn’t worked, it may be worth thinking again. Although a new place can feel different, there are some advantages to staying at a familiar clinic where you know the staff and they knew you, how you respond to the drugs and to the treatment. It will be familiar, and many people find that this can be very helpful when they start another cycle. Some people do move clinics and find that they are far happier somewhere else if they feel they are getting better care or more attention, but it is something to think about carefully before jumping ahead – and one treatment cycle not working is not necessarily in itself a reason to change. 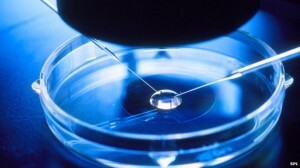 Have you given up on IVF after unsuccessful treatment?